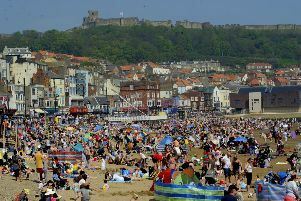 Yorkshire will be hotter than parts of Spain, Greece and Turkey this Easter weekend, with temperatures exceeding 20C (68F). The likes of Leeds, Sheffield, Hull and York are expected to be hotter than St Tropez in the south of France, Corfu, Bodrum in southern Turkey and Spanish tourism hotspot Marbella. Sheffield and South Yorkshire are expected to see the higher temperatures with a forecast of 23C (73.4F) on Saturday. Leeds will see highs of 21C (69.8F), Hull 20C (68F) and York 20C (68F) compared to the UK average of 11.5C (52.7F) for this time of year.